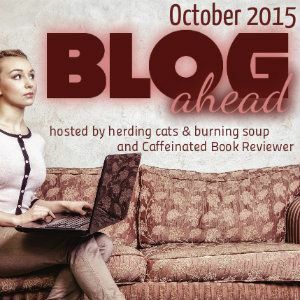 Welcome to Blog Ahead 2015! It's almost here! Woohoo! October 1st beings the month long BLOG AHEAD challenge of building up your scheduled blog posts and getting ahead in time for the holiday season. Join herding cats & burning soup and Caffeinated Book Reviewer for the Blog Ahead 2015 Challenge and cut the stress of blogging this Winter! Build your total number of scheduled posts by 31! On October 1st take your number of scheduled posts and add 31. Whatever that number is...that's your goal for the month. You'll end the day on Oct 31st with that many scheduled posts. Woots! you end Oct with 36 scheduled posts. 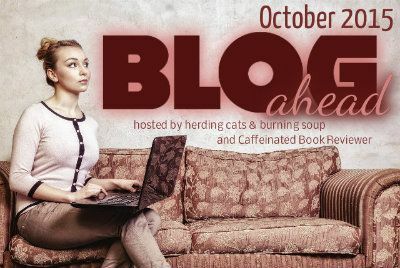 Any blogger or author can join. Any heat level, genre or theme, etc. If you blog...you're welcome to join! Types of Posts that Count? Any posts that you finish in October and will publish November 1st or later...count! Meme, review, guest post, interview, discussion. Cooking posts, pet posts, photo posts, etc. Posts do NOT have to be book related. 1] Add your blog to the linky list below. 2] Create a blog post to keep track of your goals! Don't forget to link back to this post so others can join in! 3]Spread the Word--invite your friends/fellow bloggers! Need to squee about your progress or get a little moral support? We're here! We'll have tips and suggestions too!